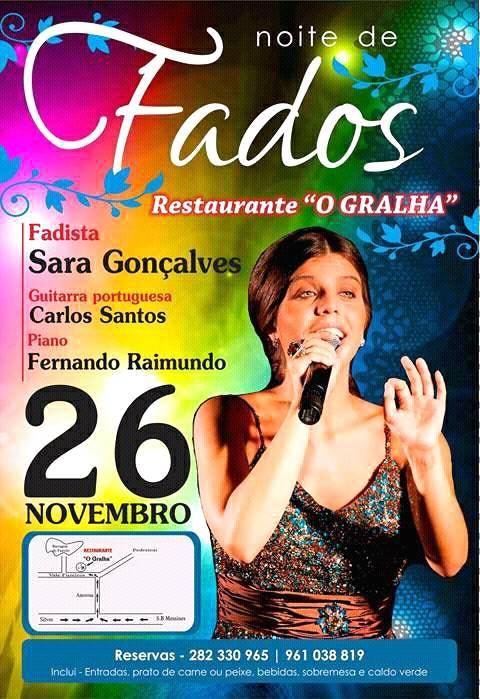 Restaurante O'Gralha will be hosting a nice of Fado this November. Fadist Sara Gonçalves will sing accompanied by Carlos Santos on Portuguese guitar and Fernando Raimundo on Piano. To reserve your table call (+351) 282 330 965.